Sharon Van Etten has announced that her next LP will be out early next year. 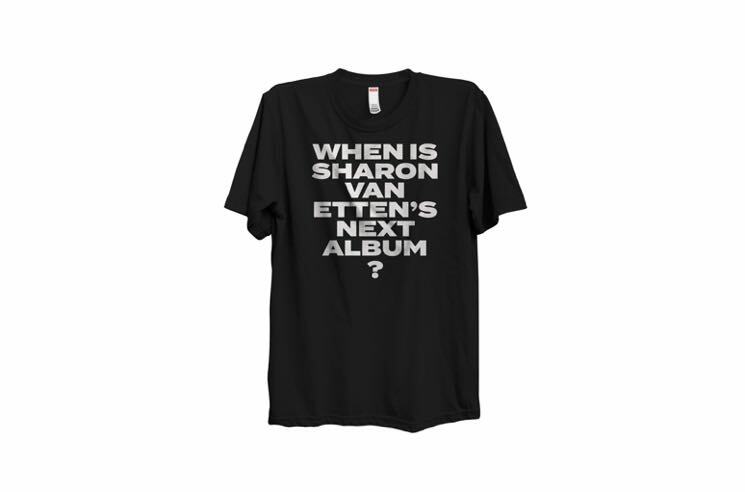 She revealed the news via her online store, selling t-shirts that read: "When is Sharon Van Etten's next album?" On the back of the shirts, she answers the question with: "01182019" — leading fans to believe that the next record will be out on January 18, 2019. The shirts are already sold out, but at least Van Etten fans still have something to be excited about. So far, there are no further details on the record, though the singer-songwriter did debut a handful of new songs at a Los Angeles show earlier this year. Her last full-length record arrived in 2014 with Are We There, but she's since released plenty of new material like 2015's I Don't Want to Let You Down EP, a remastered and remixed version of (it was) because i was in love, collaborations with Land of Talk and Michael Cera, contributions to soundtracks and compilations, and she even landed an acting role on Netflix original show The OA.